The PD4000 Series "Mighty Mini", is a compact All-In-One AC/DC Distribution Panel and Intelli-Power Converter with built-in Charge Wizard. 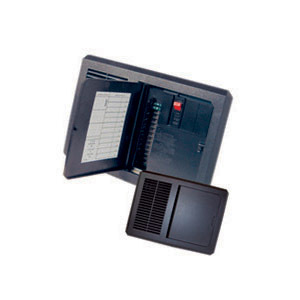 Compact and lightweight, the PD4000, has front access to a large wiring compartment. The Snap Lock cover stays shut while traveling yet opens with a touch. The AC Distribution Panel is r ated for 120 VAC at 30 AMPS. The DC section has up to 12 branch fuse holders. The "Mighty Mini" is available in a 45 AMP model. "Completely satisfied with every aspect of this service. I will order from RV Plus again! Thank..."
"I look forward to doing business with you again. Great service fast shipping "
"Excellent deal on a genuine Pollak trailer plug adapter. Every where I had checked had the Tiawan..."
"Quick-turn on shipping - best price on the product (wired-in power monitor/protection). Will..."